Lottie is a Cockerpoo – a cocker spaniel and poodle cross. She belongs to Mrs Clarke, who has very generously agreed that Lottie can become our School Dog. Lots of schools have School Dogs, because studies have shown that they can improve the well-being of children and lower the rate of anxiety, simply by making the environment happier, more enjoyable and less forbidding. There is also evidence that “reading dogs” can break down barriers and help children to develop their literacy skills. Lottie will be kept clean and healthy, with all her vaccinations up to date. Her claws will be kept short and she will be trained not to jump up at children. She is already being conditioned to being in school. 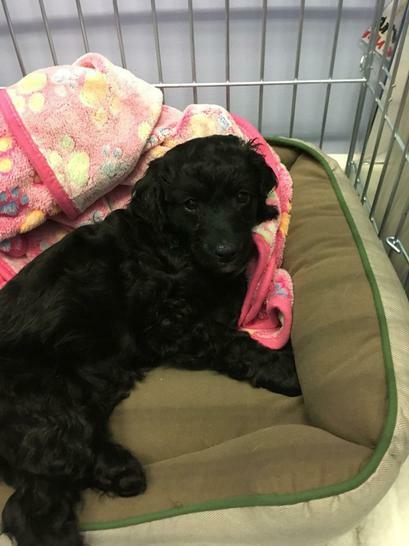 Mrs Clarke chose a cockerpoo because these are low allergy dogs, but we know that there is still a possibility that some children will have allergies and some parents will have reservations about their children working with Lottie – delightful though she is. It is fine for parents, or children, to opt out of working with Lottie.